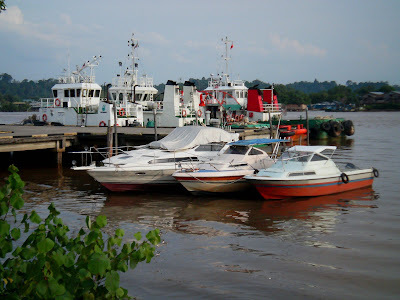 Bintulu , once a tiny riverine town is always the place to see boats in Sarawak. In the foreground are boats for hire that charge by the hour. The bigger boats in the background ferry workers to offshore oil rigs and gas platforms.